A revolutionary, new, non-surgical treatment called Viscosupplementation Therapy is providing hope and relief for many knee pain sufferers. Offered locally at Clark Family Practice, this minimally invasive procedure requires no surgery, can provide immediate results, and has little to no recovery time. Bleeding or blood clots that can cause additional swelling, skin discoloration and that may have serious consequences. Why subject yourself to these risks? You may be a candidate for our proven treatment protocol! Finally experience knee pain relief and peace of mind! For patients suffering from knee pain, the first step to recovery is to receive a proper diagnosis so the cause of the symptoms can be determined. That’s where we come in. 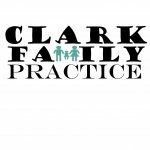 If you are serious about finding a lasting solution to your chronic knee pain, you owe it to yourself to call Clark Family Practice, PLLC for a No-Cost Consultation to see if you are a candidate.